Internet users often tend to find an option to resize their images without loosing much quality. People may suggest Photoshop, Coreldraw, etc. 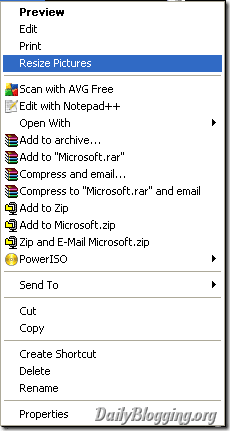 third-party Softwares. 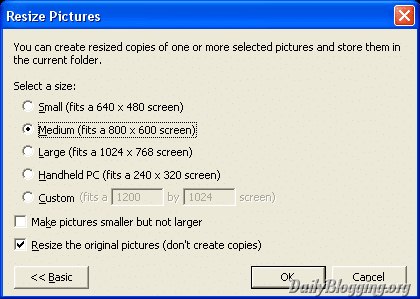 The problem in Photoshop is that you can resize the pictures but you won’t get the desired quality after resizing it. 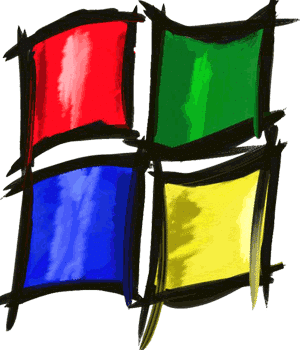 So why to waste time in third-party softwares when you have an alternative in the form of Microsoft Power Toys which includes a list of nice little-weight applications for common usage. These are old applications but many people are still unaware. So I decided to post about it. Microsoft Power Toys provides an application called Image Resizer with which we can resize images without loosing much quality. It’s quite handy when you need to do your work pretty quickly. Often applications like Photoshop, Coreldraw take about 10 seconds almost to load the application fully and then you open the image in it and resize it, this process is very time-consuming. The outcome you get too is not up to the mark. It’s good to add a start screen to applications which companies like Adobe are masters in designing it. But not when you need to get your work done in a short span of time. 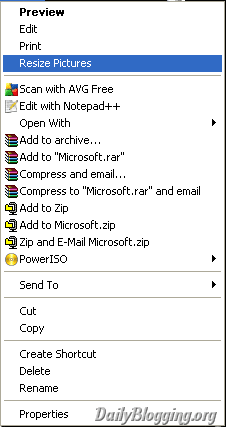 This tiny application adds an option when you right-click any image file. Right click any image, something similar to the above image will appear on your screen, select the Resize Pictures option. Another small window will appear as you can see in the image below this paragraph. You can select any Option from among Small, Medium, High or Handheld PC (which basically means a mobile phone screen). 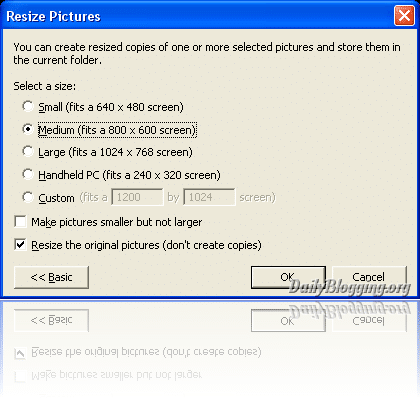 If you want to set a custom size for the image then select the custom option and resize the image. Also it provides us to choose whether we want to resize the original image or to use a resized copy of the image & keep the original one safely for future usage. Thanks to Pratik for the tip. If you have a better alternative to this then do share it with us using the comments section. Nice tutorial Mate. Thanks for sharing! Of course this would work! But only as long as you are reducing the size of the image. Try increasing it and it will definitely pixelate. Marvelous Tutorial Regarding Image Resizing With Image Resizer.I Think Image Optimization Is Also Helpful For SEO Purpose..